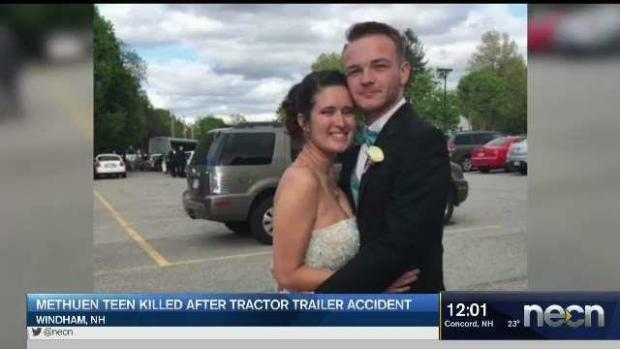 Ashley St. Onge, a 19-year-old from Methuen, Massachusetts, was killed in a crash with a tractor trailer in Windham, New Hampshire. One person was killed and two others were injured after the vehicle they were in was hit by a tractor-trailer Saturday night in Windham, according to New Hampshire State Police. 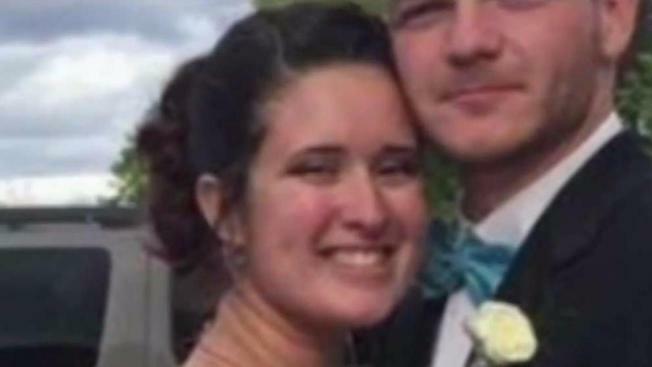 Ashley St. Onge, 19, of Methuen, Massachusetts, was killed in the crash on I-93 north, south of exit 3, around 6:45 p.m.
State police say they responded to the scene of the crash and found a 2004 Volvo S40 in the right travel lane with heavy rear-end damage, as well as a tractor-trailer about 100 feet down an embankment in a retention pond. St. Onge was found on the embankment and was taken to Parkland Medical Center, where she later died. Nicholas Hadley, 19, of Derry, New Hampshire, who was one of the passengers of the Volvo, was also found on the embankment. He was taken to Parkland Medical Center with life-threatening injuries and was subsequently taken to Portsmouth Regional Hospital. Haley Wizboski, 18, another passenger of the Volvo, was found inside the vehicle. She was taken to Parkland Medical Center with minor injuries. Police say their initial investigation shows St. Onge pulled over because she was frightened of icy road conditions and decided to switch positions with Hadley to allow him to drive. The tractor-trailer then came through and was unable to stop because of road conditions, striking their vehicle from behind while St. Onge and Hadley were outside. 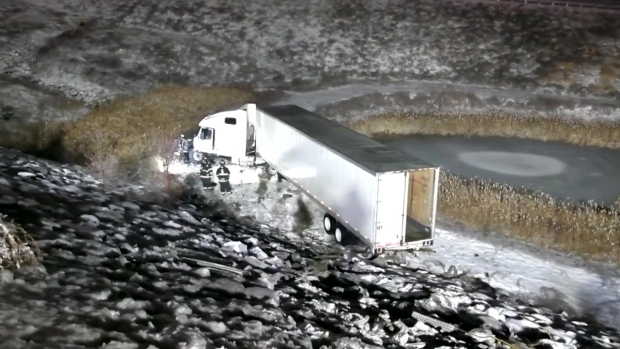 There were no reported injuries to the driver of the tractor-trailer.